Could You Be More Selfish? Please? I have a busy day today, but the thing I look forward to the most is our monthly meeting of the board of directors for the Desi Geestman Foundation. 13 years ago a determined group of people started this foundation in honor of a little girl who fought the brave fight for two years. During her long and often painful treatments, she and her family saw the very real needs of other families suffering through the cancer journey at City of Hope and it was her fervent wish to help those children and their families. And so, we do. 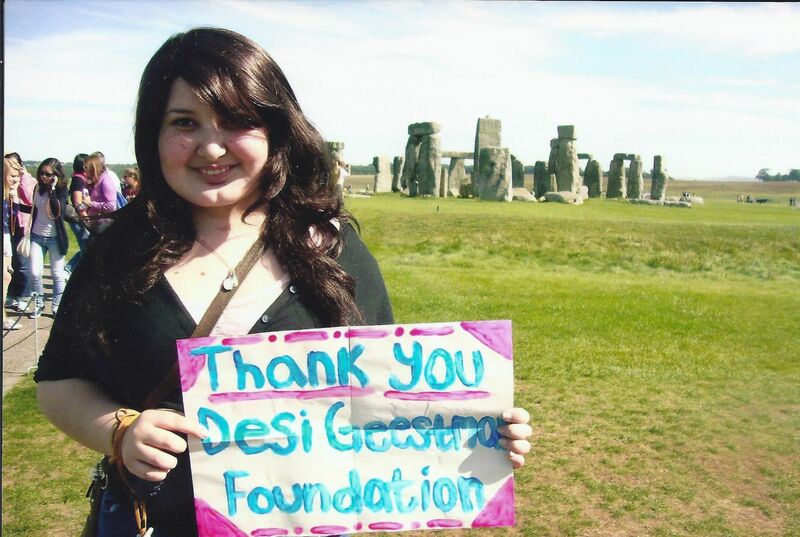 Desi’s loving spirit lives on through the many volunteers and devoted supporters of the charity that bears her name. We focus on the needs of the family, whatever they may be. Our greatest asset is Desi’s mom, Ileana, who gives emotional support tirelessly to all the people we touch. We have had families traveling four hours on a bus to get their child to chemotherapy so we found cars to donate to them. So many families have single parents who cannot quit their jobs to be with the child going through treatments, because they have other children to support. So we help with child care, gas and grocery cards, rent or utilities payments, even last minute birthday parties for kids too sick to leave the hospital. And sadly, still too often, we help with the massive, always shocking, costs of funerals. And sometimes, we help a young person realize a dream they’ve had, giving them time with their friends and family. This beautiful young lady is one of those. And I am so proud and happy to share this photo of her realized goal of visiting Stonehenge with all of you. I’m a busy mom, and my days are pretty much filled up with writing, working, carpools, housework, yard work, and production meetings, but somehow, when I find time for this cause, I feel so much less pressured. I feel that my day was well spent. A recent University of Pennsylvania study showed that “people who spend precious minutes on a charitable cause feel they have had more time to themselves at the end of the day than those who performed a non-altruistic task.” The theory goes that squeezing in a good deed makes people feel good and creates a sense of usefulness, which puts other time demands in perspective. So be self-serving! Do it for yourself. I can’t think of a more rewarding way to end my day than helping at the helm of an amazingly positive force. 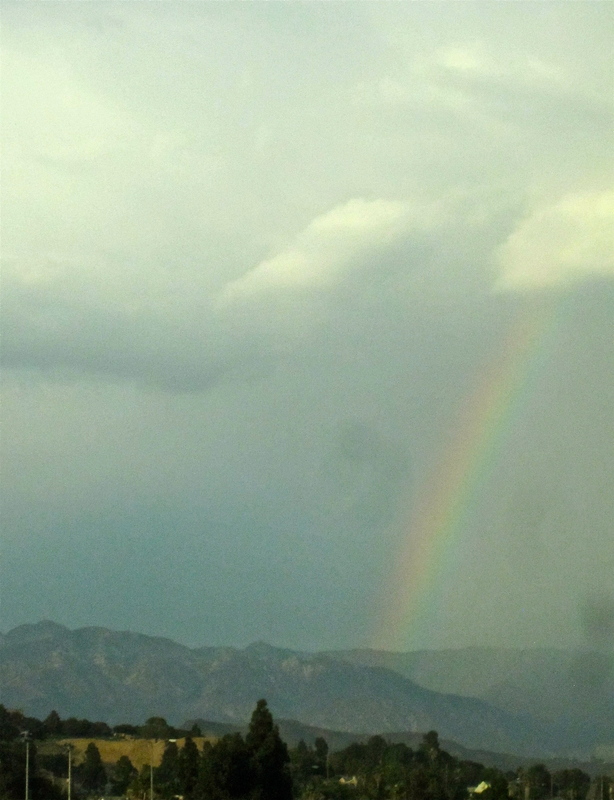 All my other concerns sort of melt into a white noise of unimportance. The other members of the board are people who inspire me so much. The Director is a past CEO of City of Hope, Dr. Miser. He has spent a lifetime helping others and giving selflessly. He and his wife have adopted 11 children with severe special needs.Talk about perspective. He live in England now, but flies in to head up our meetings and help out at the hospital. Dr. Anderson, one of the other members, is a doctor at City of Hope who works everyday striving to heal these children. Me? I’m just an actress, writer, mom, who sees the needs around her and does what she can in a small way to tackle a huge problem. When I see the gratitude on the faces of the parents, I know that every day, hour and minute I spend with this cause is time well spent. I’ll be honest, I do it for me. And my life is so much richer for it. My children too, have always helped out and are so much more aware of life and it’s trials. They are more grateful for what they have and more compassionate people. So get out there and do something for yourself! Improve your day, make your minutes count!! You can go to volunteermatch.org to find a way to help out in your own community, or you might want to check us out at www.desigeestmanfoundation.org/. I guess what I’m trying to say is…Be More Selfish! !